After turning my fennel fronds into a fresh and fragrant salad the other day, I had to come up with a way of using the actual bulb… shouldn’t that be the other way around? What I love about fennel, and similar vegetables like garlic and leek, is that they jam pack any dish with so much flavour but it’s never too overpowering which makes it perfect for fennel, potato and aubergine anna. 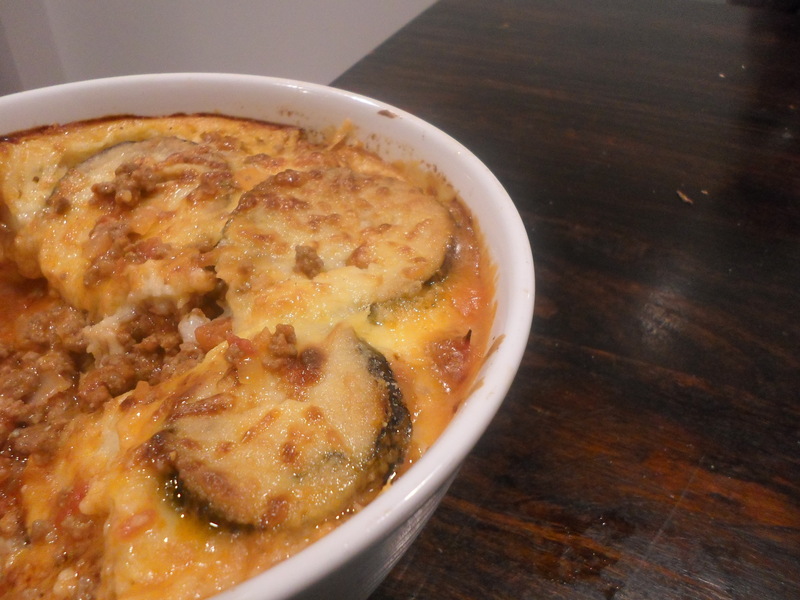 This receipe is my fancified version of potatoes anna; a light French dish of potatoes baked in butter – similar to a potato bake, but I decided to jazz mine up with some fennel and eggplant. 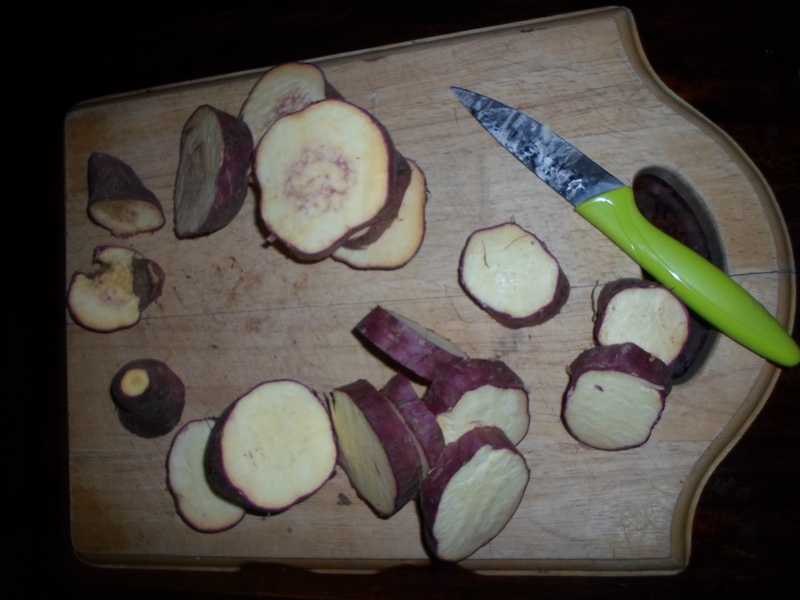 Begin by thinly slicing some potatoes, I used about six large ones, as well as one eggplant. Salt the eggplant slices and set aside to draw out the moisture and bitterness. Roughly chop a bulb of fennel, similar to how you would an onion or leek and evenly spread it along the bottom of a large baking dish. 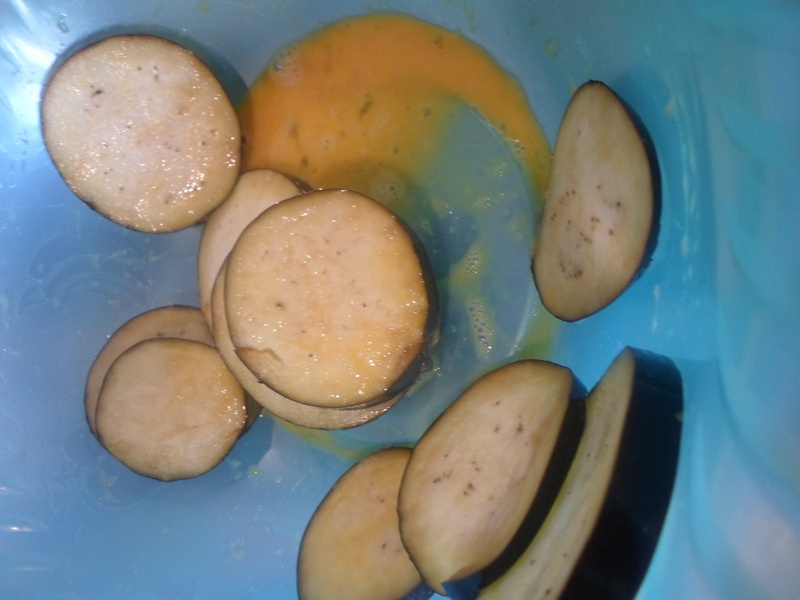 Rinse off the eggplant and combine them in a large bowl with the discs of potato. Now is your chance to add any extra flavours – I added the chopped leaves of one sprig of mint and a handful of fresh parsley leaves, along with a good crack of salt and pepper. Layer this mixture on top of the bed of fennel in as much chaos or order as you see fit, it works better if the discs are all laid flat. Now for the pièce-de-résistance; melt ½ a cup of butter (or any combination of butter and olive oil) and drizzle it over top of the heaped vegetables. Place the dish into a hot oven and cook for 30 minutes. The beauty of this dish is the variation in textures you will end with; a bed of soft and steamy fennel, a layer of crisp potato slices on top of a firm bed of juicy potatoes and soft, creamy eggplant, a smattering of herbs throughout and a rich buttery sauce. The flavours meld together perfectly and the excess butter absorbs the aniseed bite of the fennel and the minty freshness. Serve hot on a winter’s night or cold with a fresh salad as a summertime lunch. The flavours are full enough to act as a standalone dish, but subtle enough to work aside fish, chicken or even beef. 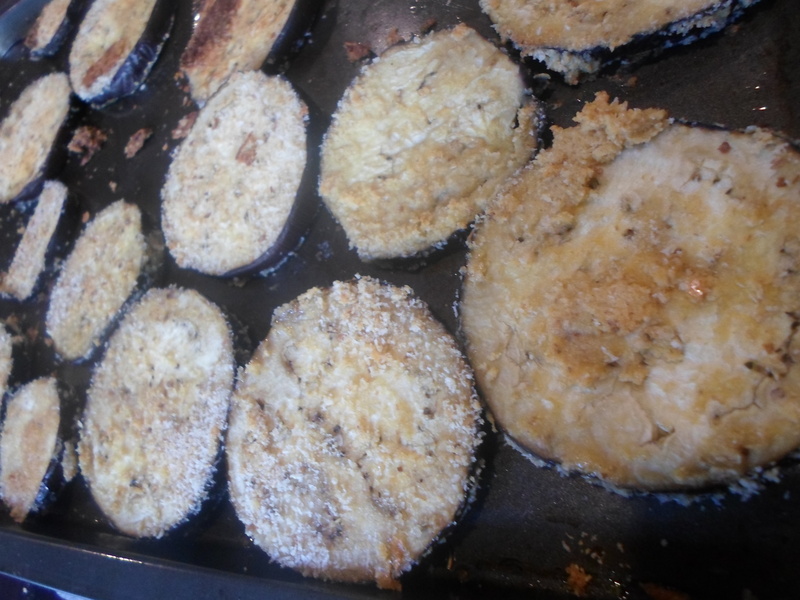 I originally had planned to write a post on eggplant steaks but then I found this recipe and it seemed like a way better idea. I recently bought myself a copy of Ghillie Başan’s book, Flavours of the Middle East – two-for-one deals always get the better of me – and it is filled with beautiful dishes, vibrant colours and interesting stories. Stuffed eggplants was my first dish, in a long list that I wanted to experiment with. They are a great combination of savoury aubergines, sweet dried fruit and a good kick of subtle spice. 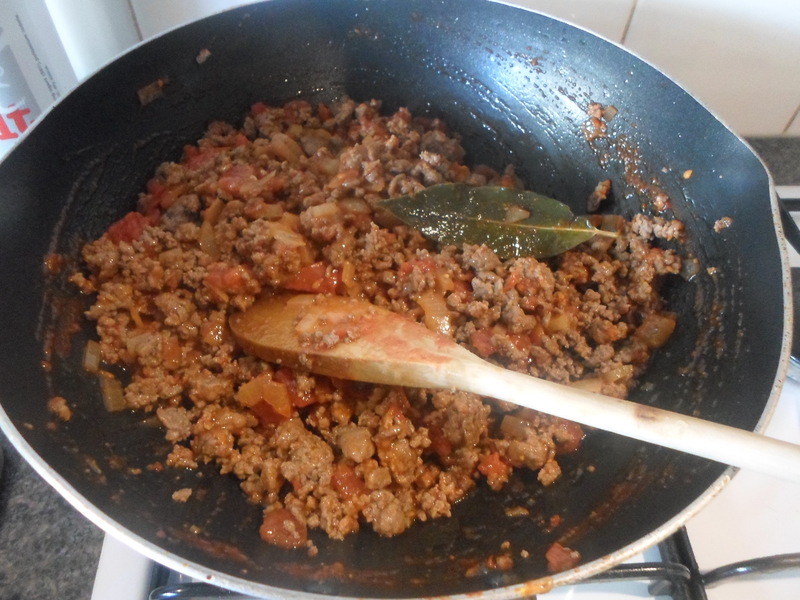 To begin, I mixed a diced onion with 150grams of minced beef – Ghillie’s recipe uses lamb but I wanted something a little leaner. 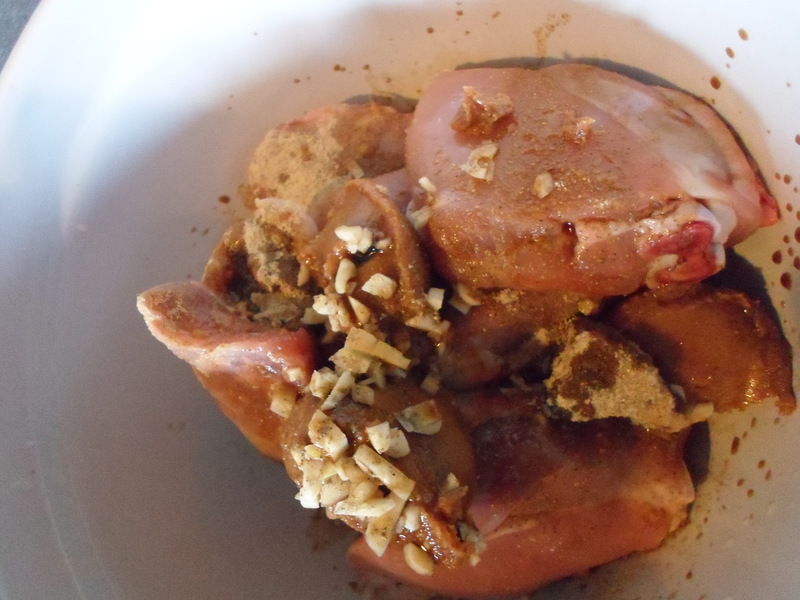 I also added a tablespoon of cinnamon, a teaspoon each of cumin and nutmeg and a few teaspoons of brown sugar. I also added two tablespoons of dried cranberries for sweetness, two chopped dates for a caramel undertone and two tablespoons of pine nuts for a little crunch. I mixed it all together with half a can of diced tomatoes, a big grind of pepper and a pinch of dried thyme, and set it aside so the flavours could meld together. After bathing three partially peel aubergines in salt water for 15 minutes, I gently pan fried them in equal parts oil and butter until the skin was glossy and the flesh changed to a pale shade of yellow. I slit each aubergine down the middle lengthways, through as much of the flesh as possible, without puncturing the skin on the other side. With a tremendous balance of delicacy and might, I prised the eggplants open and compactly filled them with the meat mixture. 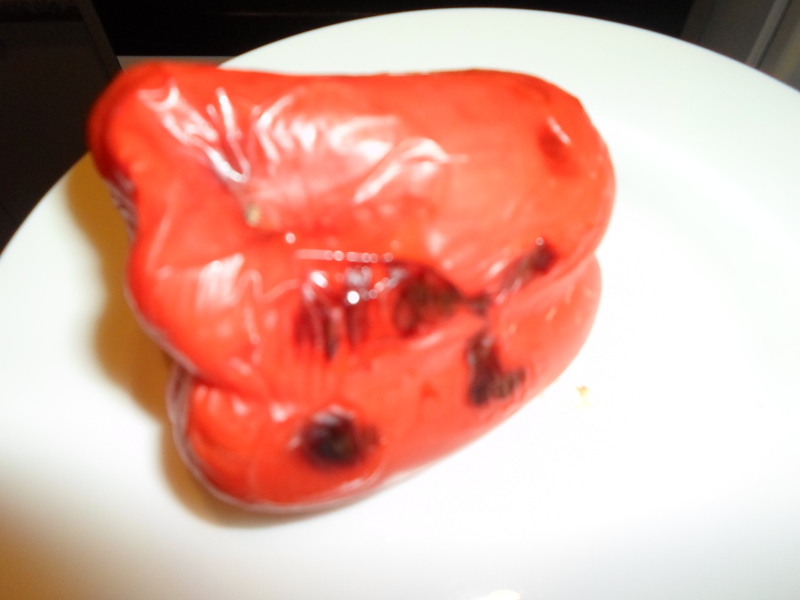 I transported my eggplant boats into a bright red oven tray and doused them in the juice of a lemon, a healthy gulp of olive oil, a crack of sugar and a bit of water mixed with a teaspoon of sugar. I baked at 200°C for 50 minutes – the first 25 minutes with a layer of foil overtop, the rest of the time uncovered. I basted each of them with the juices once I removed the foil just to insure they were nice and moist. Perfect hot or cold, this dish doesn’t require any sides or special garnishes – they are delicious (both visually and to the tastebuds) just as they are! One of the (many) perks of living in Europe, is how easily accessible such a wide range of fruits and vegetables are. Because of New Zealand’s geographical isolation, the cost of importing out of season produce is hardly economically viable, and vegetables that are grown in greenhouses, like tomatoes, lack that fresh, powerful flavour that real sunshine gives them. Aubergine is one of my favourite vegetables; no doubt I have harped on about it numerous times already and I love that in Europe I can eat them basically all year round for almost the same price in any month; back home winter price can be at least three times the price in summer- sometimes even more! Even though I am the first to sing the eggplant’s praise, I am not in a hurry to admit that it isn’t the perfect vegetable – it does have one to two faults. One of those being that it has to be cooked. Well. Unlike many a vegetable that we find one our tables and plates during the warmer months, we cannot toss it through a salad like cucumbers or carrots, nor can we barbeque or pan-fry them; relishing the soft crunch as we sink our teeth into them. 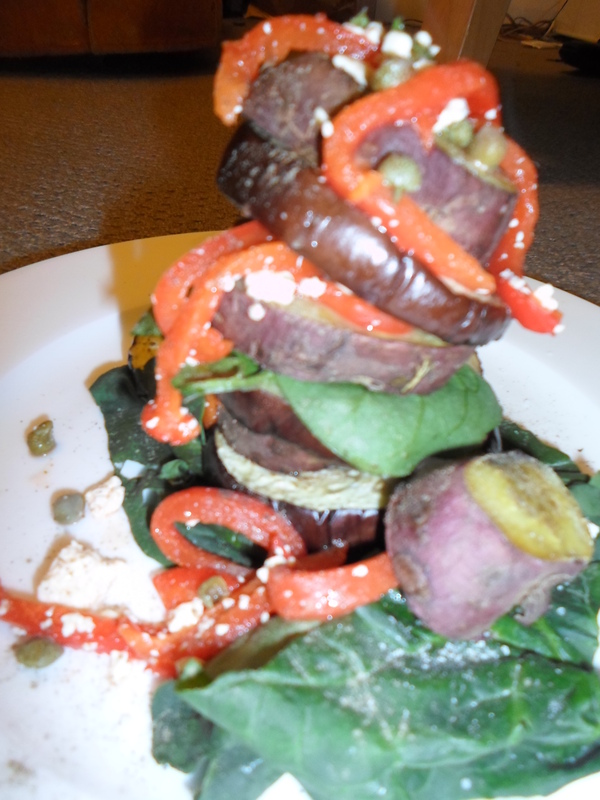 Eggplant requires a relatively lengthy cooking time – the kitchen isn’t exactly my ideal summer destination. This recipe is something I picked up in el país vasco – the Basque country of northern Spain. Not only are they delicious, but they need hardly any prep time and can be left in the oven to cook while you do something a bit more fun! 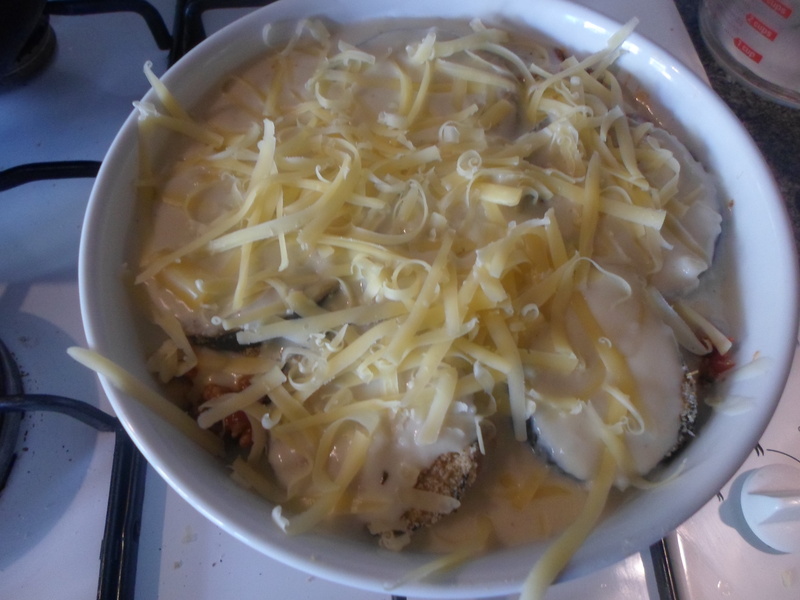 I love the crunch that thinly sliced aubergine gets when it is baked in a hot oven. I find the nutty flavour of the eggplant is a real showpiece of this dish; subtle and savoury in contrast to the spicy seasoning I added. 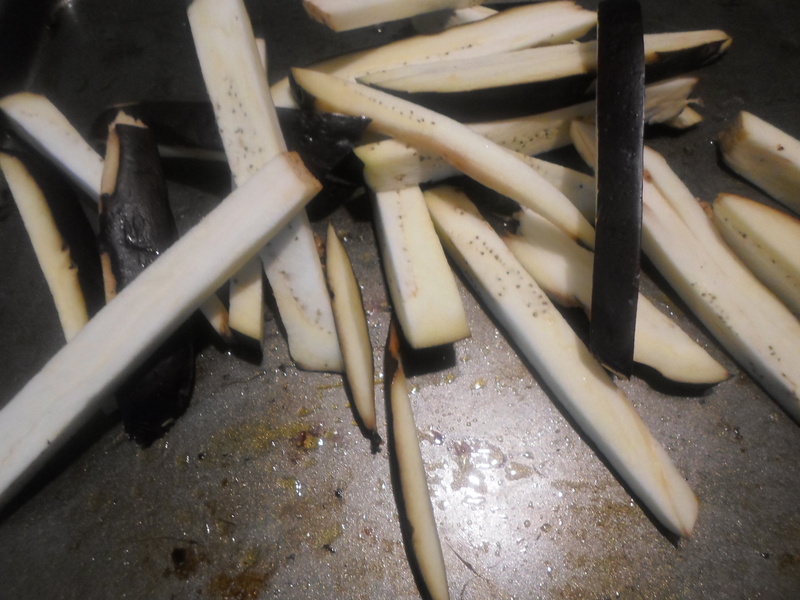 While your oven is heating to 180°C, slice your eggplant in half, then into thin fingers about 1cm in width. The taller sections can be sliced in half, or even thirds. The fleshy centre isn’t going to crisp up as well as the firm outer layer; you can discard it if you want but I don’t like waste and it is delicious all the same. Now for the pièce-de-résistance; the spices are what really bring this dish to life. As I am not one for carefully measuring anything out, I will leave the proportions up to you. Place you eggplant fingers in a large bowl and liberally drizzle them with olive oil. Along with a dash of salt and pepper, sprinkle with cayenne pepper, chilli powder, a hint of ginger and cinnamon. While neither the ginger nor cinnamon are traditionally used in this tapa, the sweet, whispering undertones really enhance the flavour. Toss the contents of the bowl until they are well combined, adding additional oil or seasoning as you see fit, before roasting for 25-30 minutes. Serve with a simple yoghurt sauce, like the one I used here, and some chopped parsley for a bit of freshness to cut through the spice. I think many people don’t see the benefits of eating spicy food in hot weather like this because it makes you sweat more; but sweating is actually a good way for your body to regulate its temperature and excrete toxins. The yoghurt sauce will cool your mouth while the spices warm your body – especially the cayenne pepper and ginger which are good for circulation. 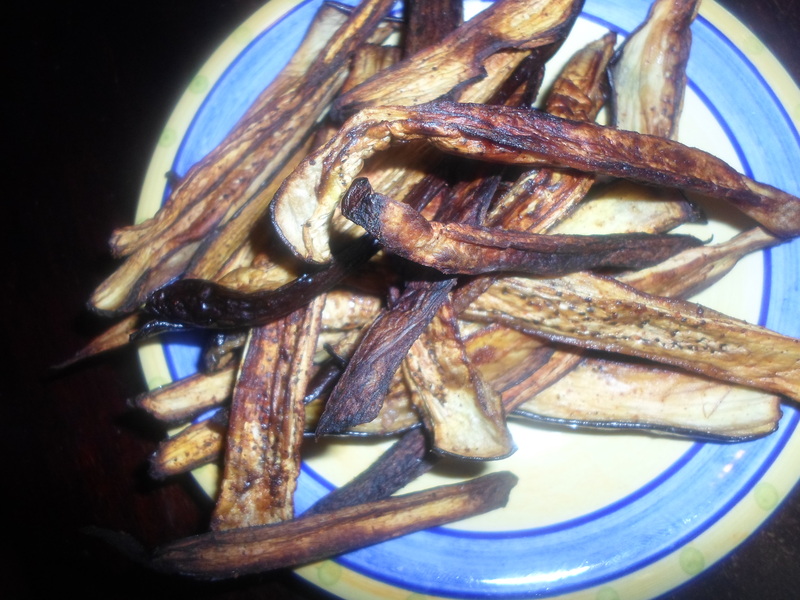 So, putting two and two together, I think what I am saying is that by eating my spicy eggplant fries every day, not only am I creating a delicious meal, but I am also doing wonders for my body! Oh, très fantastique! As I mentioned the other day, I spend more than my fair share of time looking at food on the internet. I also got giving a pile of old food magazines recently, and they aren’t all too fascinating, but a recipe will pop up every once in a while that uses a really interesting flavour or ingredient. One that caught my eye was miso paste… and that is how my miso chicken was born! Miso is a salty paste made from fermented soybeans and has an interesting earthy and rich flavour. 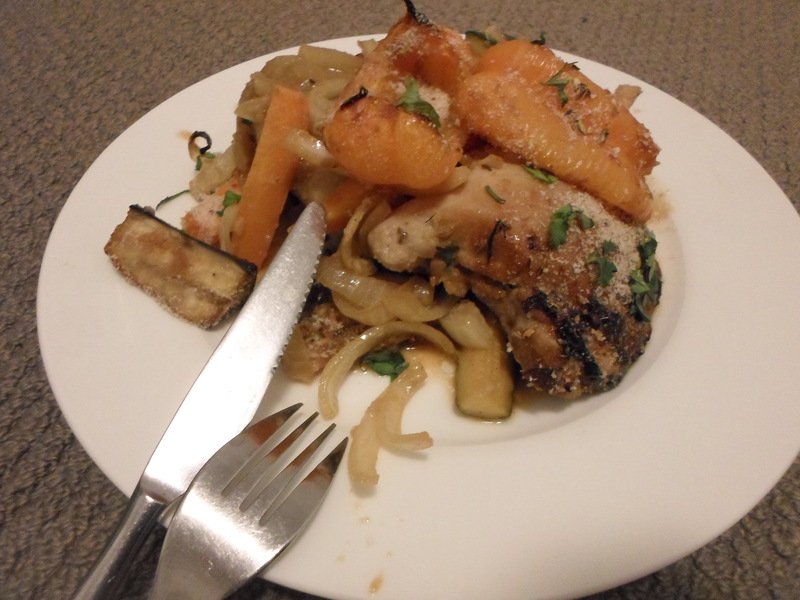 Because of its richness, I chose to roast aubergine and courgette with the chicken because they are both rather savoury vegetables, potatoes would also work well. 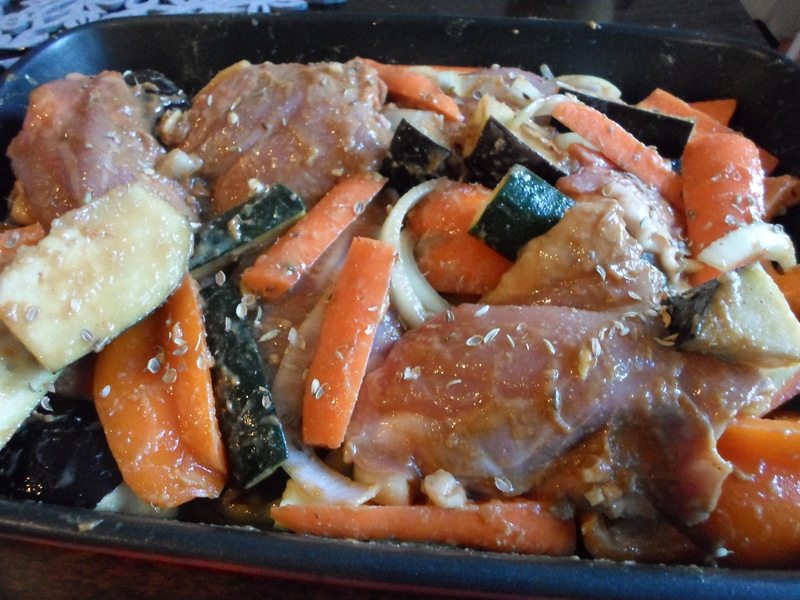 I used 6 chicken thighs for this recipe, my original intention was to marinate them in a mixture of 3 tablespoons of miso paste, the juice of a lemon some pepper and a splash of soya sauce but the paste is actually quite thick so would not have worked. Instead, spread half a tablespoon of miso paste onto each portion of chicken with a pastry brush, butterknife or spatula, covering as much of the surface area as possible before placing in a bowl with the lemon juice and soya sauce. Add crushed garlic if you fancy. The lemon juice will add a slight acidic tang to your end product while also tenderising your chicken during the marinating process. The saltiness of the miso is enough to season the dish, and I think it is wiser to add more salt at the end than to have a dish that is too salty. 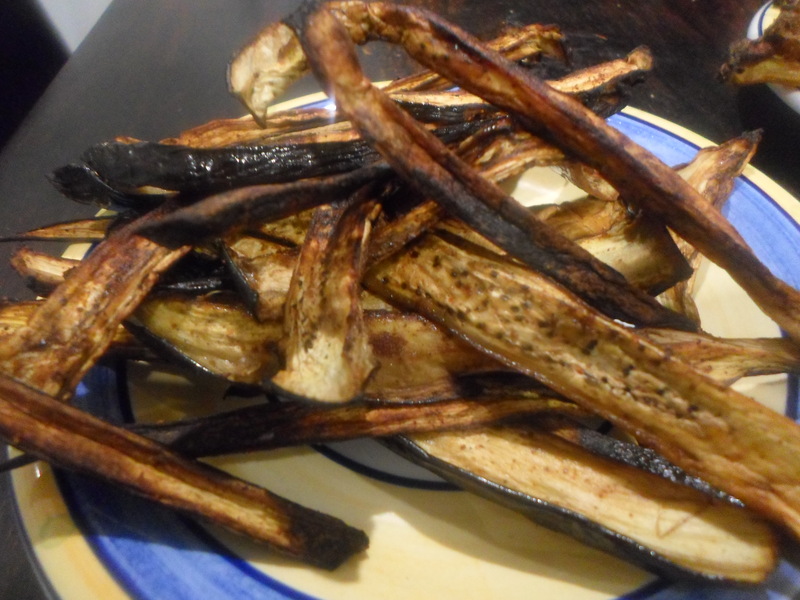 Slice an aubergine and several courgettes into wedges and season with a teaspoon of ground ginger, ground caraway seeds, ground coriander seeds and ground fennel seeds. 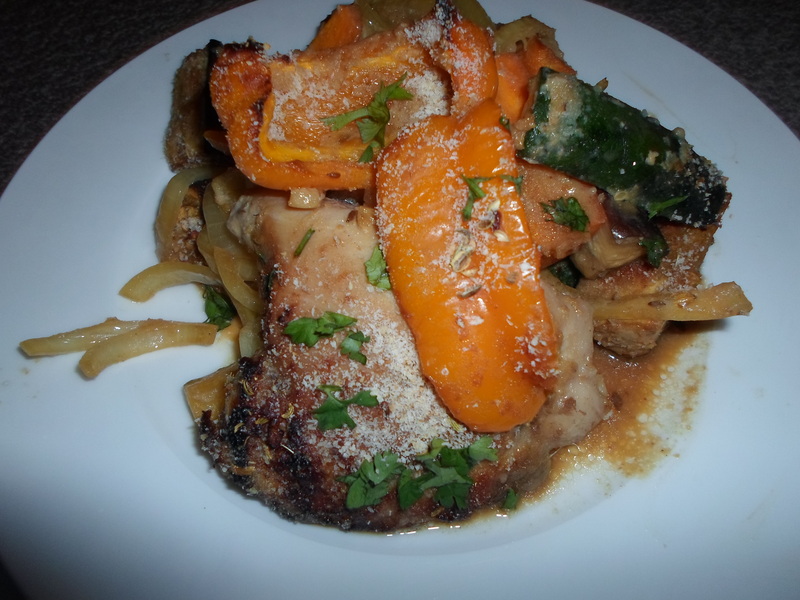 I also used a thinly sliced onion, a carrot sliced into thick sticks and a yellow bell pepper for colour. 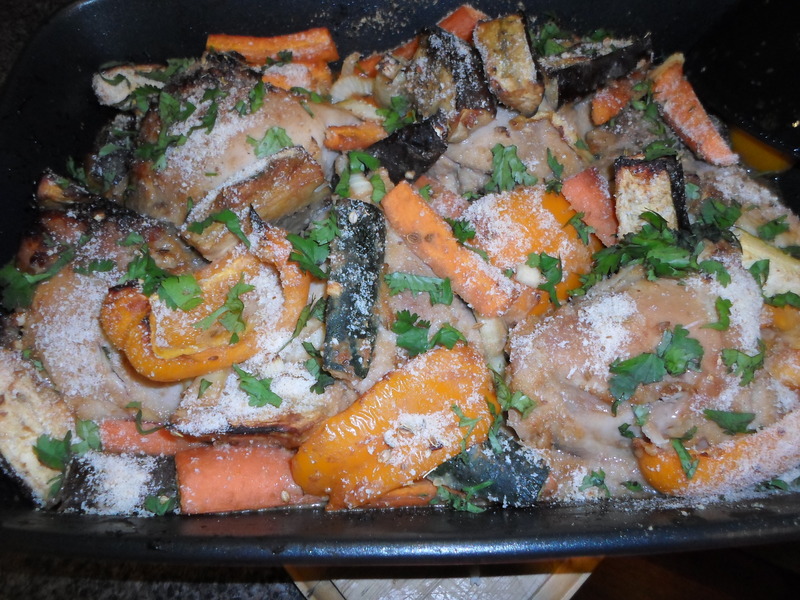 If you would prefer, you could add the caraway, coriander and fennel seeds whole for little bursts of flavour. Mix the chicken and vegetables together with ¼ of a cup of breadcrumbs for crisp and crunch, transfer to a large roasting dish and drizzle with olive oil. In mixing the two components together, some of the miso paste hopefully will have coated the vegetables; if it hasn’t then feel free to add a bit more to the vegetable wedges. Bake at 180°C for 45minutes or until the chicken is cooked through. Sprinkle with chopped basil or parsley and serve straight from the roasting dish. 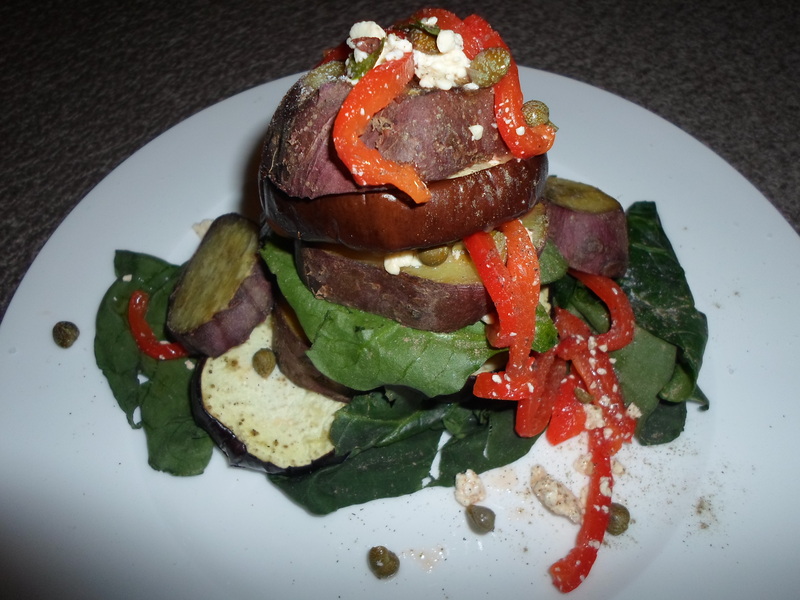 Adapted from a Yotam Ottolenghi recipe, the smoky eggplant was a great contrast to the lemon’s zing!